Yes! This is the new weekly title of my blog post, originally titled Random Thursday. I do realize, there have been more Random Thursday (a date late) posts than those actually posted on the correct day, but hey who really cares? 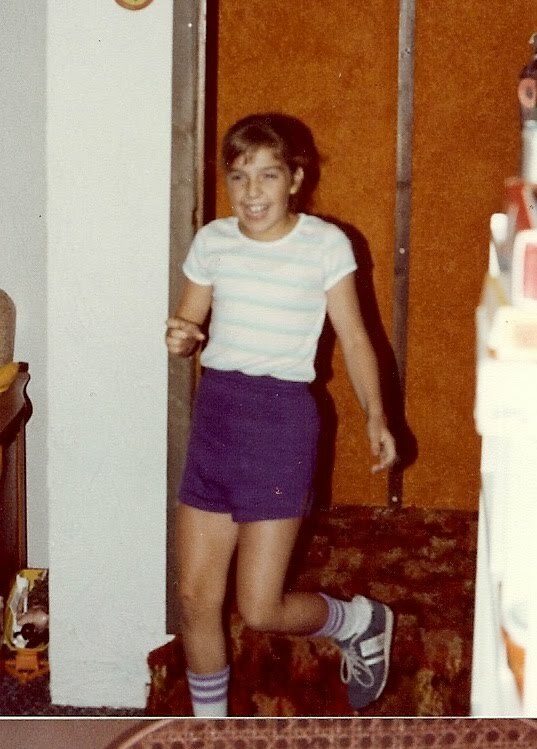 I needed an adolescent picture of me to bring to work for a guess the teacher photo contest. Mom dug this out of the pile. This is now hanging outside the guidance office. In this picture, I look soooo much younger than the kids I work with. I think this picture was taken as I walked into a surprise party. Check out those socks and the tucked in shirt...classic! Here is my little man with his new "do". 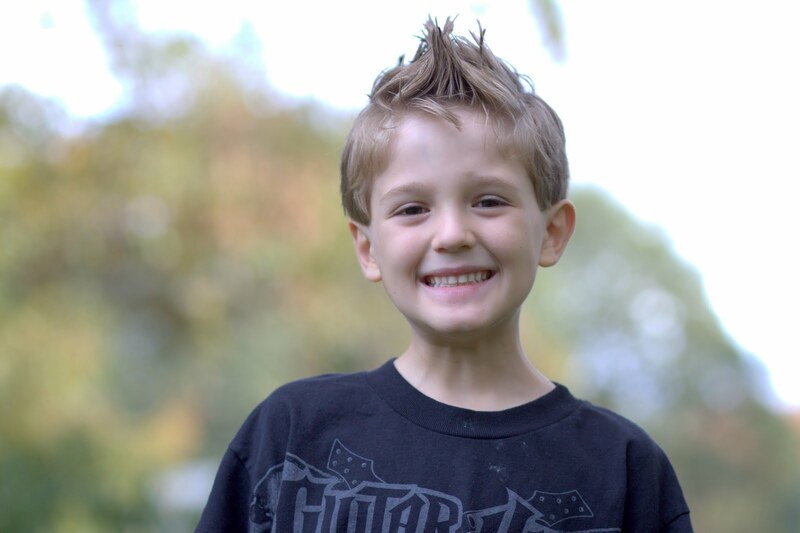 If you ask me, he looks pretty darn cute in his "faux hawk"! After getting his haircut, he walked by the mirror, took a glance and said, "I look good!" Yes you do handsome! And this week was a big week at Tae Kwan Do; E got his high green belt and his new (costly) sparring gear...ouch! This picture cracks me up every time I look at it. I hadn't even seen Little Miss in the picture when I took it, but then when I uploaded it, I couldn't stop laughing. Excuse the blur; that's been happening a lot lately. Happy Weekend to all! The two little cherubs and I will be spending our weekend at dress rehearsal and recital. E will be doing an acrobat number to "I Don't Want to Work" and Little Miss will be tapping to "On the Good Ship, Lollipop." "You can dance anywhere, even if only in your heart."